The use of multiple media portals at once is on the rise as just one of anything doesn't seem to satisfy anymore. According to data collected by Nielsen, the time people spend using both the internet and television has gone up by nearly 35% in one year. This refers to simultaneous use. For example, someone that is updating their Facebook page every 5 minutes with the current happenings in an episode of American Idol. In 2008, Nielsen found that those using the web and watching television at the same time at least once per month spent an average of 2.6 hours doing so. In 2009, that number shot up to 3.5 hours. Matthew O'Grady, a Nielsen media use researcher, attributes most of the increase to social networking sites such as Facebook. Does this research say anything about our hunger for knowledge and media, or does it just mean that more people are spending time on Facebook? Personally, I know I've always tried to dual-wield technological devices, such as playing a PSP while watching the latest episode of Fringe. This is more about trying to fit all I can into one day than a particular hunger for media. Most people can probably only concentrate on one learning source at a time with any actual degree of focus anyway. The internet is increasingly becoming a way to artificially be in a room of friends while in reality being completely alone, and I think Nielsen's research reflects the social use of a computer rather than some kind of dizzying media obsession. 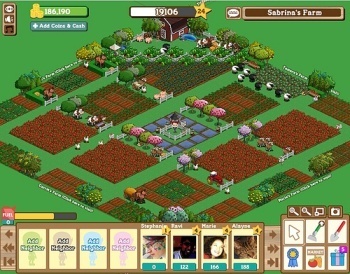 Not that Facebook isn't a dizzying obsession, right Farmville players?